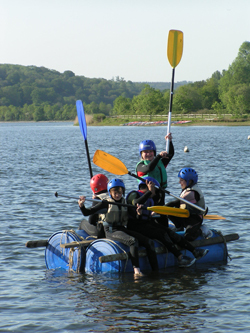 Using barrels, rope and planks, build a raft sturdy enough to carry you and your friends around the reservoir without getting soaked. Can you step up to the challenge? Good for parties, school groups and scouts.